The files contained here are excerpts from the available books. Unless other-wise noted (i.e. “FREE” and “FREE PREVIEWS”) these are NOT the complete books and may not contain complete chapters. They are texts extracted from the actual book and are for representational purposes only. FREE and FREE PREVIEWS are complete works that you may read here, from/on the site or, where possible, you’re welcome to down-load the PDF files to read at your leisure on what-ever apparatus you have. Simply click on the Title or the Image. This will open the PDF file in another browser window (or tab, if that’s how you have your browser set). If you choose to read here and don’t finish the work, you will have to return to this page and repeat the process to continue reading. This will NOT load the file onto your reader/computer. If you prefer, you may down-load the PDF file to your computer or tablet to have to read at your leisure. To do so, simply click on the link or image as above and when the window/tab opens, follow the procedure for “download” on your particular apparatus (computer, lap-top, tablet, reader, smart phone, etc.). Click on the “Purchase” link listed under the title. This will bring you directly to the “purchase” page in a new browser window. 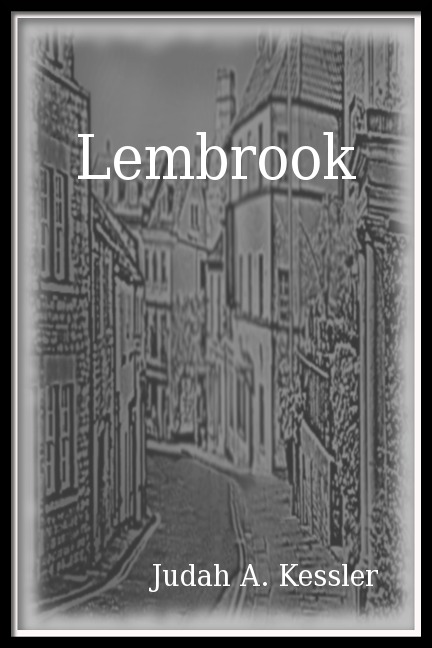 Lembrook© “…not so much an island as it is a village and yet, perhaps not so much a village as an island, but as remote as one could possibly imagine, many kilometres from its nearest neighbouring towns or villages. It’s settled quite peacefully and contentedly in the middle of a river that argues the term “rural” in every sense imaginable of the term.” Lembrook© is a place in time in a time quite long ago, long gone. It is a place and people that Time forgot and that the world never knew. It’s a village in the heart and memory, protected, cherished, farther than arms can reach and closer than any possession imaginable. Narrow streets and old, massive stone buildings, heart-warming and… well… you’ll just have to read it to know the rest. NOW AVAILABLE, ON-LINE, the dream in 20 pages, the story you’ll never regret having read, but will keep with you in your heart forever. And perhaps you’ll find it for yourself one day… or find a “Lembrook©” of your own. If you’ve got some-one special in your life, this is a wonderful little gift to tell them how much they mean to you. It’s a gift of a story guaranteed to bring a unique peace of mind and spirit, and a wonderful place to go to when life becomes even a bit un-settled. CLICK HERE for your own copy… instantly. And as always, PLEASE come back to the “COMMENTS” page and leave a review. But other-wise, I hope you enjoy Madelaine duBois (available FREE, below, right here and now) and that you’ll check out the other books/excerpts here. Happy Holidays* to you ALL. And thank you for your continued support and encouragement. 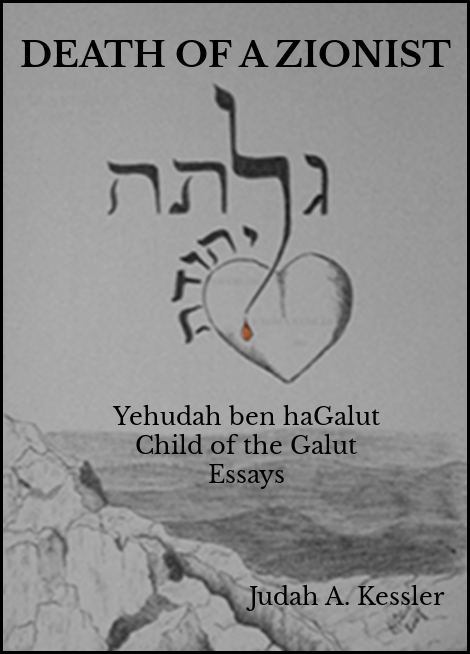 Death Of A Zionist – Child Of The Galut If you’re Jewish, you should know this. If you’re not, you should be aware of it. Either way, you owe it to yourself to learn. “Zionism” was not, and, at its base remains a benign ideology, whose followers merely believe that all Jews have the inalienable right to the re-establishment of their “Home-land” (Israel), to exist amongst all nations, in peace. Quite the contrast to contemporary misunderstanding and general global ignorance. Yes? And for many years, Israel held fast to a most important rule, law and ideal: ALL Jews of ALL nations around the world were entitled to “return” to the established “Home-land” of Israel under what was declared the “Law Of Return”. All one needed was the heart-felt desire, the dream and with help from those who had re-established the country, it would be possible. That was until rather recent times when a particular sect of self-proclaimed “higher”, delusionally omnipotent Jews decided that THEY alone had the right and held the power to decide who would be welcome and who would be shunned. So as to ensure that their policies would become law and enforced, one faction of world Jewry became gained control over the entire land and as their henchmen, they appointed their own “judges” in the Jewish law courts. Three rabbis… a “Beit Din” were bestowed with the power and authority to decide and decree who amongst the people of the world is and is not a “Jew” and with that decree who can and who cannot “return” to the Biblically historical home-land. “Death Of A Zionist” is just one account of the confrontation of one person by such a “Beit Din” and, with nothing more than the electronic “click” of a computer mouse and an impersonal e-mail, chaos and havoc reigned, depression ensued and all seemed doomed… one way or another. Judaism is what is known as “matrilineal” meaning that as long as the mother of a child is a Jew, so too are her children. Mother, grand-mother, great-grand-mother, and on along the family line, Jewish women have given birth to Jewish children for generations. (Note: The system used to be “patrililineal”, but it was revised with the decision that one could be certain who one’s mother is but not necessarily so of one’s father. Therefore, it made better sense to change.) And until some time ago, all one needed do was assure those of the courts that one’s mother is/was, in fact Jewish and the matter was settled. But in recent times, the demands of the self-appointed “elite” dictated that only those of absolute proven pure Jewish blood would be allowed to enter into the “Holy Land” and the results have been all but devastating. With the denial of a “Jewish Court” of one’s “Jewishness”, essentially three other-wise insignificant men (some of whom are “men” only in age and certainly not in intellect) have been given some imaginary authority to obliterate entire family lineages with one simple (and simple-minded) decision. And in “Death Of A Zionist” the manner and the results are clearly drawn. Trust in God and man. Hope. Desire. Desperation. Depression. Devastation. Re-assurance. Encouragement. Compassion. Inspiration. Life. “Death Of A Zionist” isn’t simply a “Jewish” story, it’s a story of inspiration for every and any person who has ever faced horrors and believed that there was no next moment, no next step. It teaches not only the misconceptions of an ideology, but of the ability of each of us to overcome adversity in what-ever form it presents itself. If you’re Jewish, you should know this. If you’re not, you should be aware of it. Either way, you owe it to yourself to learn. Click HERE for your copy. Dear Madelaine, a “country gal of a certain age” is a sweet widow born and raised (“growed” as it is) on a farm of considerable size, on the out-skirts of a small town up in The North Country. She’s rather the stereotypical North Country woman, steadfast in her ways, most of which are the product of an old-world up-bringing. For the most part, dear Madelaine is rather self-sufficent, but she’s also a touch “eccentric” as might be expected. She has her ways of handling situations and, for the most part, they work well for her, until… well… there’s the little matter of fire-wood. An other-wise possibly banal chore turns into a rather almost poignant bit of comedy, as the cold Winter winds blow in, hauling with it, the snows of Winter. CLICK HERE to read on-line/on-site or down-load to your computer for your COPY TO KEEP. And as always, PLEASE come back to the “COMMENTS” page and leave a review. Happy Holidays* to you ALL. And thank you for your continued support and encouragement. Look me up on the “On-Line” page too. Let’s keep in touch. OK? *I say “Happy Holidays” because as I see it, holidays are a time to be happy, to celebrate, to enjoy and there are many. No matter what your politics, religion, belief system, what-ever, I, personally encourage everybody to enjoy ALL possible holidays… to be happy, celebrate and enjoy! Journal Days, the Christmas preview.